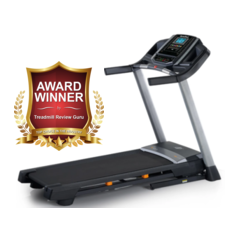 Welcome to Treadmill Review Guru, we have been reviewing Treadmills since 90's and have reviewed 70+ treadmill brands and 100's of treadmill machines. 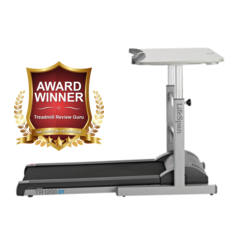 We have been providing the user's with honest unbiased reviews of treadmills in order to help them to choose the right one for their needs and within budget range. Star based ratings to help you make the best decision. Categorized reviews to help you find the best one in a particular category. Detailed comparison among treadmills of top brands. Detailed review including pros and cons of each running machine. Various tools and options available to help you find the perfect treadmill for your needs. Honest unbiased reviews that can help you avoid a costly bad decision. 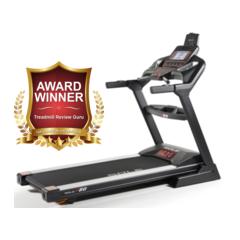 You can checkout top 3 best buy treadmills in 2019 based on customers satisfaction, ton's of testimonials, durability, features, user interface & of course price. Looking For Treadmills for Home Use?